When is a party not a party? When it’s a bachelorette bash, girls’ night out, reunion or social get-together that features a Siren Soiree, the latest service to be offered by women’s wellness organization Siren School. The themed party format provides guests unprecedented opportunities to delve into a fabled or foreign culture from the comfort of their living room. Events, dubbed as “parties with purpose” introduce the history, customs, crafts, lingo and unique beauty of the chosen genre. Hostesses may choose to throw a Genie Dreams party, Bollywood Bash, Island Hukilau, Flapper Fete, Mermaid Dip & Dive, Pin-Up Play Date, Moulin Rouge Spectacular, Charm Class, Fairy Ring Roundup or a number of other whimsical offerings. 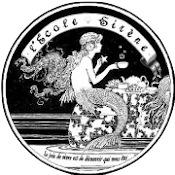 Siren Soirees is a service created by Siren School, a company dedicated to helping women discover (or re-discover) their value, beauty and joie de vivre. Additional opportunities include Mythic Adventures themed getaways, Fantasy Fitness ongoing dance class instruction, and Plunder – the student rewards program.